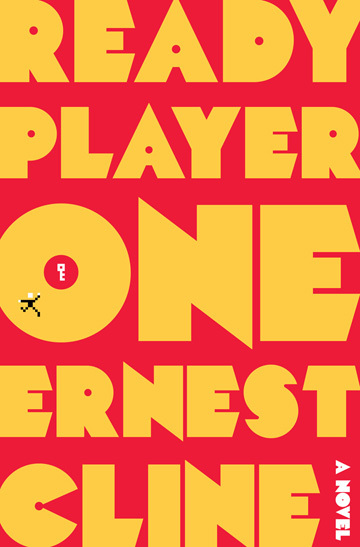 If you came of age in the '80s, love video games, a good old fashioned love story, or sci-fi and you haven't picked up Ernest Cline's Ready Player One yet, you need to do so immediately. The book deals with a bleak future where society has gone to hell and people seek refuge in the OASIS, a virtual reality device. The owner and creator of the OASIS dies and since he has no surviving family, announces he's leaving the OASIS and his fortune to the person who can solve his game. Part love story, part video game, part love letter to the '80s, and all awesome, Ready Player One clocks in at 16 PCRPM (pop culture references per minute) and is a must read for all children of the '80s. I recently had the pleasure to speak with the book's author, Ernest Cline. We chatted about Ready Player One, Atari 2600 games, DeLoreans, and Fanboys. I loved Ready Player One. Are you surprised with the response it's received? Yeah, I'm kind of flipping out over it. I really thought the whole time I was working on this bookwhich was a long timethat I was just writing something for myself and something that would just appeal to me and maybe ten of my geeky friends. I never imagined that it would sell to Random House or that it would become this big bestselling book. It's crazy. There are tons of references to '80s music, movies, television, and video games throughout the book. Are there particular references you feel no one's noticed yet? Actually, there was a marketing person at Random House who got paid to go through the entire book and make an Excel spreadsheet of everything that I had referenced and she missed a few things, but even just seeing the list that she made was kind of disturbing. I was like, "Really? I put that many references in there?" There's a few on almost every page, so I guess I shouldn't be surprised. But I don't know that any one person other than me would get everything, just because the references are so specific to me. Some people find things they think are references, things I didn't even intend, in there and I try not to correct anybody because I don't want to hurt their enjoyment of the book. There's definitely stuff hidden in there that I know no one's found yet. Or that no one has mentioned to me anyway. I can't. That would ruin the fun! How long did it take to fact check all that? I kind of just did it as I went. I was working on this book off and on for almost a decade and when I was writing it and I would include something I wasn't 100% sure about, I would just pull up Google and double check my facts before I put it in there. But I still ended up having some mistakes in my final manuscript that I sold to Random House but luckily I went over that a bunch of times with my editor and found errors. I had a great copy editor, which is a person who goes through and checks all your punctuation and also double checks all your references and all your facts and dates and things. When you reference that much stuff, you're gonna make mistakes. There's still some mistakes that slipped past everybody that are still in there that fans have hipped me to, but I think they did a pretty great job of making sure almost everything is correct. How far away do you think we are from the OASIS? I don't know. It really seems that since the book came out, I keep noticing more and more things that seem like they're leading us in that direction. I just recently went and saw the new Conan movie with D-Box, which is the new kind of haptic theater seat. When you watch the movie, the chair that you're sitting in is synced to the action on the screen, so that when Conan is riding a horse, you feel like you're riding a horse. It was really crazy and I've never experienced anything like it. I'm like, "Wow. This is just like the haptic chair in my book." I recently got an Xbox 360 with Kinect, which is basically like a scanner that tracks your whole body and then maps your body movements onto your in-game avatar, so it seems like real rudimentary versions of the stuff I describe in my book is already here. I know that the military's driving a lot of virtual reality goggle designs and virtual retinal displays and things like that. I feel like I may have been a little too conservative, like in 30 years it might even be more advanced than what I described in the book. But as a science fiction writer, you always want to be conservative and not over-estimate flying cars and stuff because then when there are no flying cars, then your story is dated. Of all the futuristic devices in your book, which would you like to have the most? What would I like to have the most? Well, all of the futuristic devices in the book are related to the OASIS, so I would probably want to have the OASIS more than anything. That's me imagining my coolest possible version of the Internet and what the Internet and video games and Facebook and all that could evolve into. It would be like having a holodeck in your living room. That would be pretty awesome. Let's pretend you have complete control over the Ready Player One movie. Money is no object. Who do you cast as Wade and Art3mis? I would want to cast unknown actors, kind of like George Lucas did with the first Star Wars or like Christopher Reeve in the first Superman, nobody knew who he was. There's only a few young actors who are movie stars and none of them have leapt out at me as being perfect and I just think for a new world and new setting and new story the Ready Player One movie would be, I think I would like it if the younger actors were played by people nobody recognized. The older charactersthe bad guys, Halliday, and Morrowthe older characters who were in their thirties and forties and fifties in the movie, I think it would be awesome to get some actors who have some '80 cache. Like if John Cusack or Matthew Broderick or Anthony Michael Hall or one of those guys could play a role in the movie, I think that would be awesome. I'm assuming you're a big Atari fan judging by the graphics on your personal site. What were your five favorite 2600 games? Ooh. Well, Adventure was probably my all-time favorite and that plays a big part in Ready Player One. River Raid was also one of my favorites. I loved the Activision games; Pitfall and Pitfall II were also two of my favorite games. Kaboom! I was addicted to Kaboom! and played it until I started to go blind. I would say maybe Pitfall II, River Raid, Adventure, Kaboom!, and... What was another of my favorites? I loved Chopper Command. It was kind of awesome because I would pretend I was acting out an episode of Airwolf. Help us settle an argument. Worst Atari 2600 game: E.T. or Pac-Man? I'm going to have to go with Pac-Man. A lot of people love to hate on E.T. and blame the fall of Atari on E.T., but I love that game. I mean, it wasn't the best game but it was a pretty cool adventure game with multiple screens and rooms and different enemies. It was pretty elaborate. E.T. is a sensitive, feel-good emotional movie and that's really hard to recreate in an 8-bit Atari video game with 4K RAM. The Atari port of Pac-Man, I remember getting on the waiting list for that at Kmart because I was so excited about having Pac-Man at home and it just sucked! The graphics sucked and the sound sucked and it didn't feel like Pac-Man. It could've been better. I know that since then, Atari 2600 fans have gone and created their own Atari 2600 version of Pac-Man that they could've released. It was much better. I'm gonna hate on Pac-Man. Me, too. Tell us about your Ghost Busting, Knight Riding DeLorean. I've always wanted to own a DeLorean since I was a kid, since I was ten years old. The first time I saw a DeLorean, I just flipped out. I loved it. It was the coolest car I had ever seen. When I saw Back To The Future, that just quadrupled my love of the DeLorean. I always wanted to get one, but it never seemed like something that was possible, like a nerdy daydream. When I sold my book and starting thinking about doing a book tour, it occurred to me that I could buy a DeLorean finally and take it on my book tour and use it as my author photo. Then it would be a business expense and I could totally nerd out on my DeLorean and totally recreate Wade's DeLorean in the book. When I was writing Ready Player One, it was a book so I could throw in whatever I wanted. I gave Wade a DeLorean and had him mashup my four favorite '80s super vehicles which are Doc Brown's time machine, the Ghostbusters Ectomobile, K.I.T.T. from Knight Rider, and Buckaroo Banzai's jet car. It combines elements of all four of those into one DeLorean, which is the nerdiest idea for a car ever. Most people don't even know what all four of those cars are and if they do, then they're shocked at the level of geekiness that I'm rambling on about it. So I went ahead and did it and it was just a blast. I drove the DeLorean 1500 miles up to Michigan and then to Wisconsin, Illinois, and Ohio. I'd park it in front of bookstores before I would do my book signings. Down here in Texas, too, it was always a huge hit. It's like a Travelling Nerdmobile, a nerd museum that brings the book to life in a really cool way. It's a blast for me to have a DeLorean, too, because I've never had a car that people would look at twice other than to marvel at what a piece of crap I was driving so this is like a whole different experience. It's the only car I know that wherever I drive it, it brightens people's day, people smile, almost crash their car because they're trying to take a picture. It's pretty awesome. It broke down a few times on the tour, right? It broke down on me once. This 30-year-old bolt in the shift mechanism snapped on me but through some miracle, I was only five miles away from this guys who edits DeLorean Magazine. He came over, got my car, and fixed it for me in like an hour and wouldn't take any money. There's like this brotherhood of DeLorean owners across the country so when it broke down, I just posted a message on the messageboard and said, "Hey! I'm in Cincinnati and I need help fixing my DeLorean" and this guy got hold of me right away and helped me out. I was nervous about taking this thirty-year-old car on the road trip, but even breaking down turned out to be awesome. No DeLorean road trip is complete without your car breaking down and having to get repairs from Doc Brown or whatever. Let's talk Fanboys for a minute. There were a ton of cameos in the movie. Did you write most of those in initially or were they just added later? Most of them were added later depending on who was available. I wrote an early draft of the script with a Billy Dee Williams cameo in it because I thought we might be able to get him, but I never imagined we'd be able to get Carrie Fisher or William Shatner. That was stuff that we added to the story once Harvey Weinstein became the producer and he was able to get William Shatner, so we wrote the scenes specifically for William Shatner. I wrote it in 1988 and it was going to be my little indie Clerks movie that I made in Austin for no money with no real actors, just using local actors. I was going to try to do what Kevin Smith did with Clerks and [Robert Rodriguez] did with El Mariachi, just make a real cheap little movie. That didn't happen because the script got such a great reaction that it seemed like it might get made by Hollywood some day. It did, but it took seven or eight years. How involved were you with the filming? Were things as bad behind the scenes as rumored? There was a six-year development process of the script getting reworked, the director getting attached, and Kevin Spacey coming on board as a producer. Once that happened, he got George Lucas to sign off on it and everything started to happen very quickly after this long, seven-to-eight-year wait. In 2006, we went and shot the movie in a month and a half in Albuquerque and that was one of the most amazing experiences in my life. I got to go to Albuquerque, I had a cameo in the movie as a Star Trek fan and I got to be in the scene with William Shatner. I was walking around on the set of my own Star Wars movie with all this stuff I had just been imaging in my head for years. Carrie Fisher was on the set the first day to do her scene. It was just crazy awesome and I had really high hopes for it. But then we finished shooting the movie in March of 2006 and it did not come out in theaters until February of 2009. That was three years of reshoots and fighting with the studio. Eventually, they decided they could make it better by changing the whole ending and taking the movie away from me and the director and totally changing the ending to something we didn't want and hated. That was the dark time. After this amazing experience of finally getting my movie made and everybody waiting to see it, and then it just didn't come out. They kept delaying it and they kept messing with it and trying to change it. Some of these people working on the movie didn't know Star Trek from Star Wars. After the most amazing experience, it turned into this really horrifying experience. But then once word got out of what they were trying to do, Star Wars fans revolted and threatened to boycott their other movies and were calling Harvey Weinstein "Darth Weinstein." All of that eventually led to them letting the Star Wars fans who made the movie, finish the movie and release it. Once that nightmarish sequence was over, I got to go to Skywalker Ranch with the director and do the final sound mix on the movie, so that was like the craziest ending to the whole story. 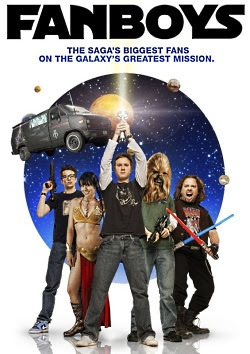 By writing this movie about breaking into Skywalker Ranch, ten years later I get to go to Skywalker Ranch and actually sit there in the theaters where they made the prequels and do the sound mix on Fanboys. They gave us total access to the Lucasfilm sound archives, so we were dropping in original R2-D2 sounds and Ewok sounds from the original Star Wars movies. It was really bad at times, but it was also epically amazing at other times. Cool. I won't keep you much longer. We have a thing called The CB3, which is three '80s pop culture questions we ask everyone. I'm gonna go with Thriller. My wife would say Purple Rain but I'm a Thriller fan. Tiffany. I have a redhead weakness. Finally, Pretty In Pink or Sixteen Candles? Ooh. Damn. I'm gonna have to go with Sixteen Candles just because that one's actually directed by John Hughes and he just wrote and produced Pretty In Pink. And Anthony Michael Hall's geek character is awesome. And John Cusack plays one of his friends, so I'm gonna go with Sixteen Candles. Thanks for taking the time to talk with us today. Awesome. Thanks for having me! I enjoyed it! 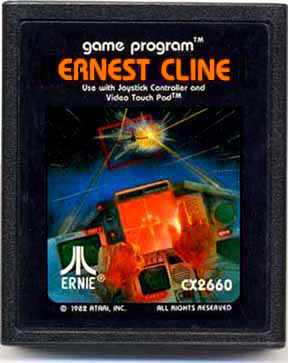 For more about Ernest Cline, check out his official site, his Facebook page, or follow him on Twitter.